Note from Paul: Thank you very much for your kind words and the nice note you left. The mattresses are by Jamison. They are Kingston pillow-top kings, which are two notches up from what Jamison sells to Marriott. Sherri says it’s like laying on a cloud while the sound of the waves lulls her to sleep. We have stayed at several rentals on the Gulf in the Sarasota area and this is by far the best. This includes visits to Venice Beach, Lido Beach and other Siesta Key properties. Fisherman’s Cove is located on the quiet, south end of Siesta Key, which has very little traffic even during peak-season. 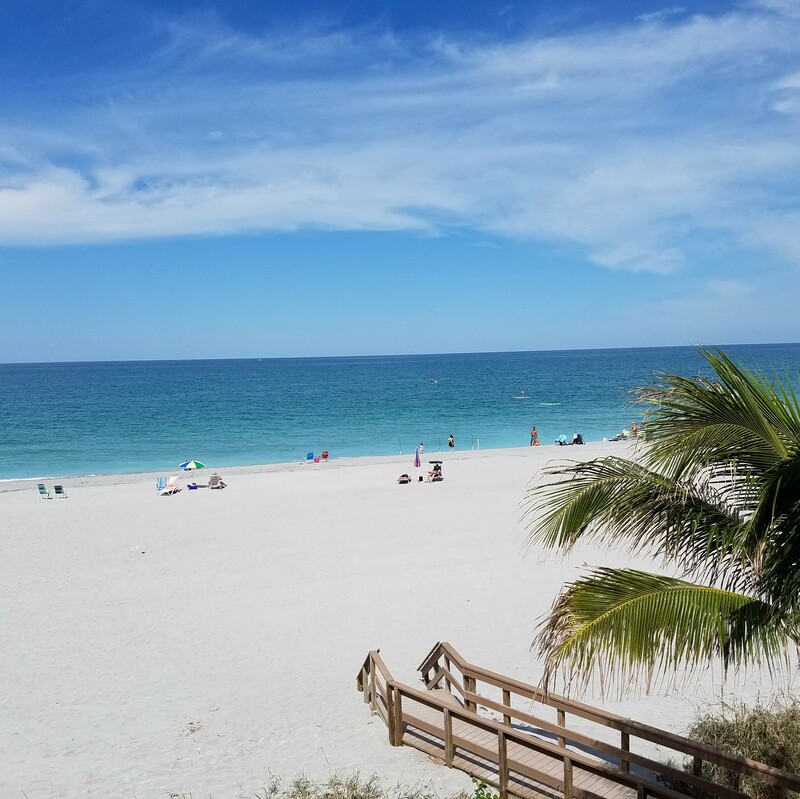 The third-floor location of the property provides an incredible view of the Gulf, beautiful sunsets, and large beach where you can walk for miles. Water’s edge is only 150 feet from our building. We spent a lot of time people-watching from the lanai; swimmers, sun bathers, shell-gatherers, and fisherman. I caught several fish in front of the property during our recent stay. You can walk to a kayak rental and paddle for miles on the inter-coastal behind our building. The heated pool is nice when it is windy on the beach. Owners Paul and Sherri recently redecorated their spacious two-bedroom condo, which has everything needed for your visit. Before you arrive they will provide a detailed document that answers all your questions including the best restaurants and local attractions. Paul is very friendly and quick to respond. He and the full-time staff at Fisherman’s Cove are available if you have questions or need assistance. There are many restaurants nearby; two within short walking distance. A large mall with a Publix supermarket is only four miles away. We have already made a reservation for next year, which will be our firth time renting this property. 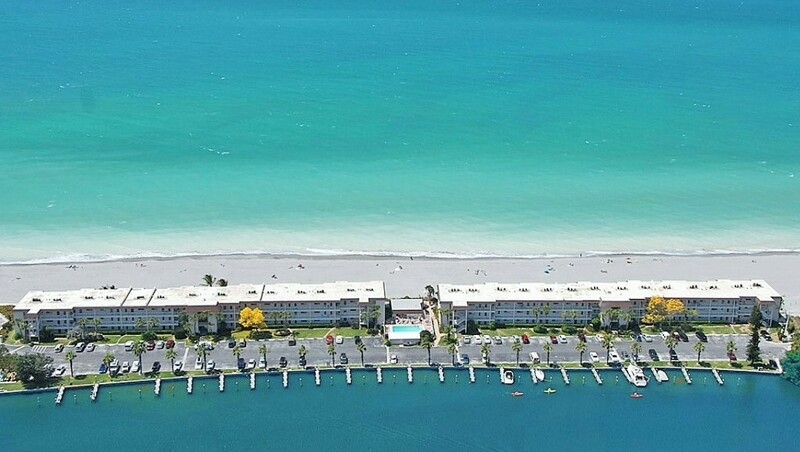 If you are looking for the best rental on the Gulf near Sarasota, this is it. We found this condo while doing a search for somewhere quiet and relaxing; away from the hustle bustle of the commercialized areas. We were not disappointed. The unit was a mirror image of the photos shown in the listing and was in pristine condition when we arrived. Prior to our trip, Paul sent us a welcome package which included 42 wonderful pages of any and all information you would ever need pertaining to the unit, the area, shopping, dining, etc. We found it quite helpful and referred to it often during our stay. The condo was well equipped with the essentials, appliances and linens but also included many extras such as Tommy Bahama chair, umbrellas, beach toys, etc. That in itself is such a convenience! 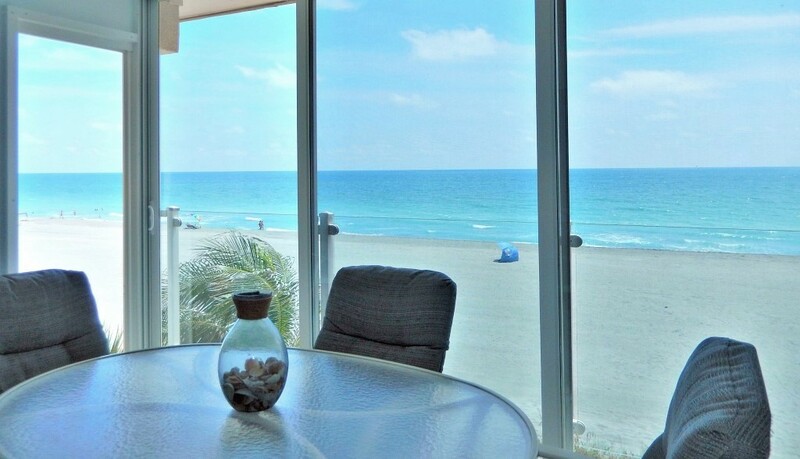 We will definitely choose this beachfront unit the next time we make Siesta Key our destination! Thanks to Paul for his attention to detail and follow ups, ensuring the best stay possible! This vacation rental was over and beyond! This vacation rental was over and beyond! The location and views are amazing, and the comfortableness and relaxation vibe of this 2 bed / 2 bath condo made us feel so much like we were at home! Rental is FULLY EQUIPPED with any and everything you can think of. Plenty of activities and games provided for families to do, chairs and fishing poles available for the beach lovers, and a nice heated outdoor pool. The beds and pillows were so so so comfy. Chefs will love the fact that the kitchen is fully equipped with any and every utensil, pot and pan you could think of! Night time was so calming and soothing, we left the windows and outdoor porch open for the best breeze, no AC needed. We DID NOT want to leave! 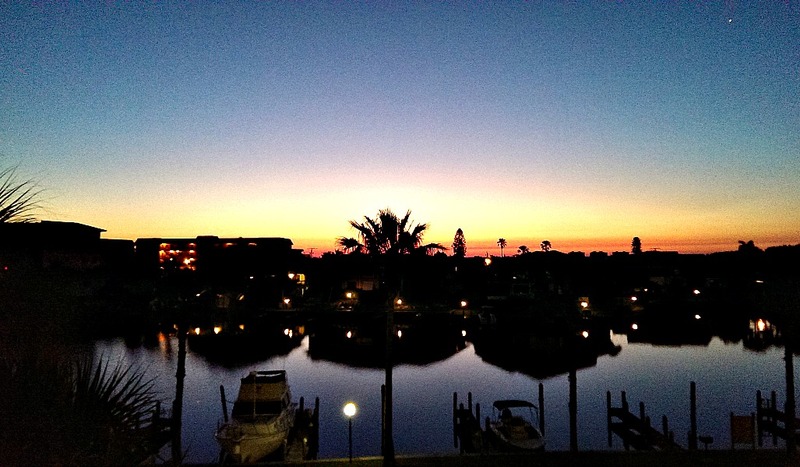 Thank you for having us as a guest and thank you for providing a LOVELY rental property to Siesta Key renters. We had an awesome time, the condo was perfect and we loved the beach. I don’t think we could have asked for a better place to be for the week. Every night we went out to a different restaurant and tried different seafood. Can’t complain about anything we did. We’re glad we got to meet you and your wife we enjoyed the chat. When you called that morning you were correct the power did go out, I hadn’t noticed that the stove clock did reset I must have slept right through the storm LOL. I hope you guys have a good rest of Summer very nice meeting you. Spent last week at Fisherman’s Cove. It was amazing! The views, the condo, the food and the locals. Made many new friends. And the location is perfect. Just minutes to all the activities, shopping and dining. We also spent time on the beach each day. The water was clear and we got in several times with no concerns and no problems. And our host, Paul, is for sure the BEST! He knocks it out of the park with all his information and insights. Absolute will go back. Thanks for everything! WOW! The condo was perfect with everything you need and want at your finger tips. Mr. McWilliams and Fisherman’s Cove were fantastic. Mr. McWilliams should be a travel guide with all his recommendations and information given. The condo’s location was great and the accommodations were perfectly appointed. Beds were very comfortable. Siesta Key is a great vacation spot. The beach is steps away and not crowded at all. We already recommended the condo to others. You will not be disappointed! We just returned from a wonderful relaxing week’s stay at this condo in Fisherman’s Cove. 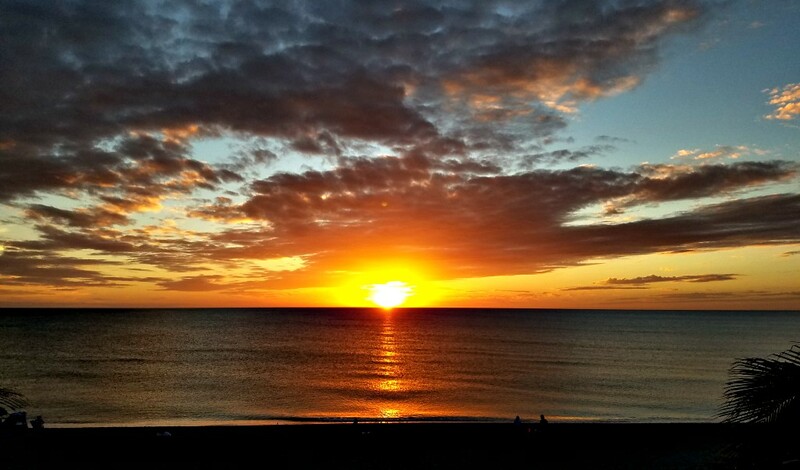 We have been to many beach locations in Florida and around the country and this by far was our favorite condo for beach viewing, relaxing on the lanai, and seeing an amazing sunset every single night. Each sunset seemed more beautiful than the last. 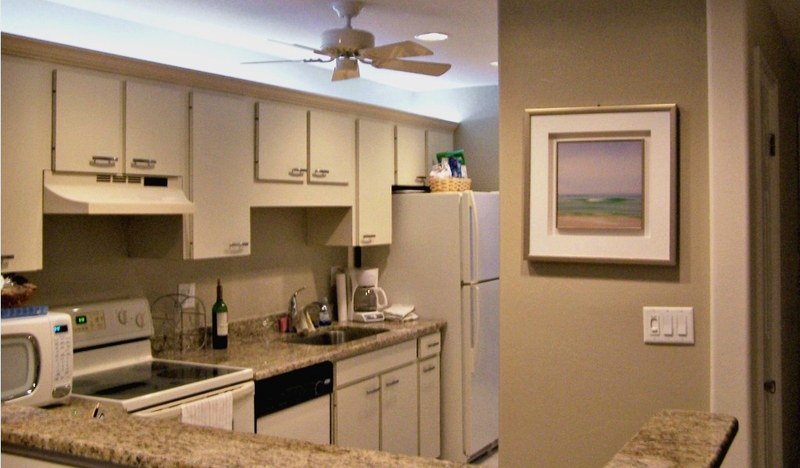 The condo is beautiful, comfortable and has a very beachy decor with lovely original art work. We loved that it was on the third floor corner because of the great front and side views. The beach and pool were remarkably never crowded at this location. My four year old granddaughter loved the very nice heated pool as well as collecting shells on the beach. There were sand toys in the condo closet and she put them to very good use. It seems like a very family friendly place– there were a few playmates in the pool her age almost every day. There is a great shaded play ground a short walk away and Isabella also loved it there. The owner, Paul, could not have been more helpful before , during or after our stay. The comprehensive (35 pages!) guide he sent for the area before our stay was immensely helpful. My daughter and son-in-law enjoyed so many of his recommendations that they discovered from his guide. I can not say enough wonderful things that this vacation rental and location had to offer. We definitely will be returning! We had a fabulous time in your condo. We have been renting condos for over 5 years. I can see why they named you as best host of the month. I would say of all time not just the month. The weather cooperated with us too. Excellent host for our stay in the very roomy condo. The views were outstanding from the gulf side and the bay side. We had sunrises from the bay and sunsets from the gulf. We had everything we needed for our week long stay. Paul had sent a very helpful list of restaurants (with reviews), places to check out and many things to do while we were there. We referred to it as “Paul’s Bible” since he was so detailed. He doesn’t want you to miss out on anything. If you have any issues he is quick to respond. We look forward to returning again. 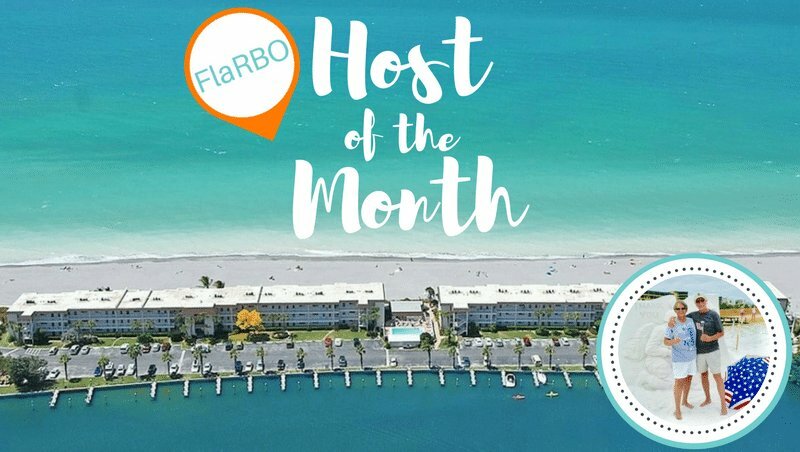 We are extremely proud to announce that we were selected by Florida Rental by Owners (FlaRBO.com) as Host of the Month for April 2018. You can read the story and interview by clicking here. As is the case with all the websites listing our condo, there are NO booking fees or services fees added to your cost by FlaRBO.com. We will be happy to help you plan your vacation to whatever extent you would like. 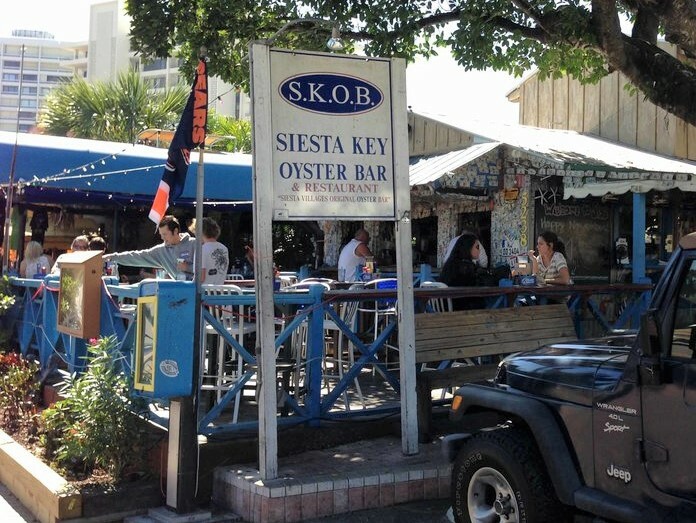 We provide all of our guests with our exclusive and comprehensive Siesta Key Vacation Guide that provides reviews for over thirty great restaurants and is packed with ideas of things to do in the Siesta Key area with a focus on family orientated activities. We have stayed at several rentals on the Gulf in the Sarasota area and this is by far the best. This includes visits to Venice Beach, Lido Beach and other Siesta Key properties. Fisherman’s Cove is located on the quiet, south end of Siesta Key, which has very little traffic even during peak-season. 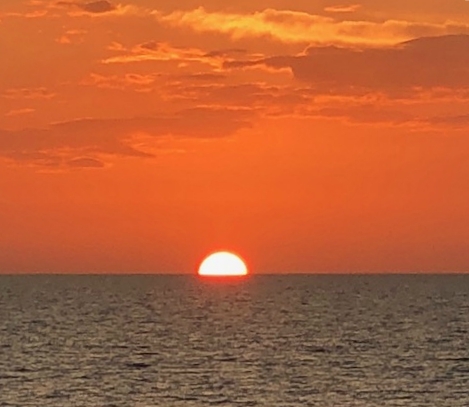 The third-floor location of the property provides an incredible view of the Gulf, beautiful sunsets, and large beach where you can walk for miles. Water’s edge is only 150 feet from our building. We spent a lot of time people-watching from the lanai; swimmers, sun bathers, shell-gatherers, and fisherman. I caught 15 fish (6 species) in front of the property during our recent stay. 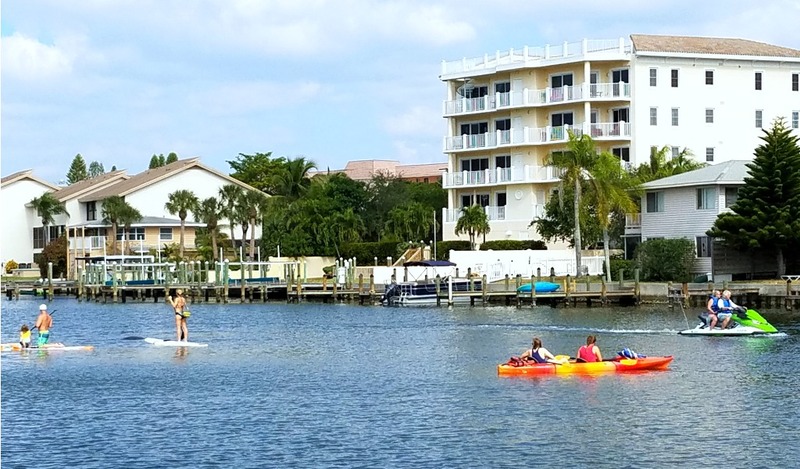 You can walk to a kayak rental and paddle for miles on the inter-coastal behind our building. The heated pool is nice when it is windy on the beach. 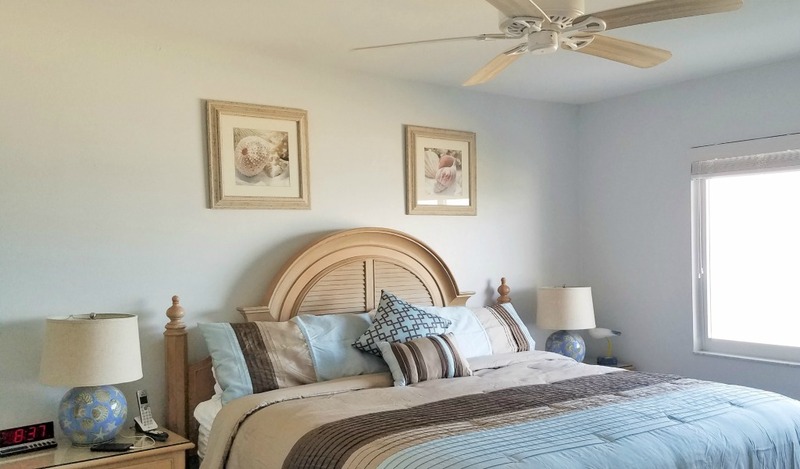 Owners Paul and Sherri recently redecorated their spacious two-bedroom condo, which has everything needed for your visit. Before you arrive they will provide a detailed document that answers all your questions including the best restaurants and local attractions. Paul is very friendly and quick to respond. He and the full-time staff at Fisherman’s Cove are available if you have questions or need assistance. There are many restaurants nearby; two within short walking distance. A large mall with a Publix supermarket is only four miles away. We have already made a reservation for next year, which will be our third time renting this property. 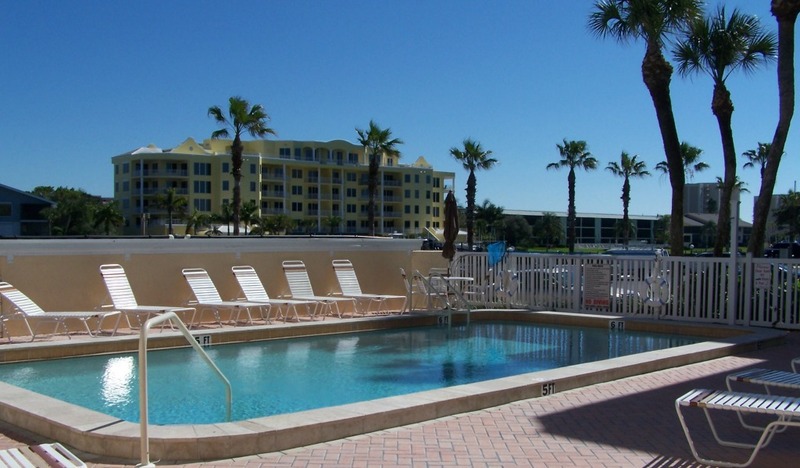 If you are looking for the best rental on the Gulf near Sarasota, this is it. I just want to say thank you so much for sharing your piece of Heaven on earth with my family. We had such a great Christmas and beautiful weather. I hope you had a great Christmas and New Year. I attached some of my favorite photos we captured. 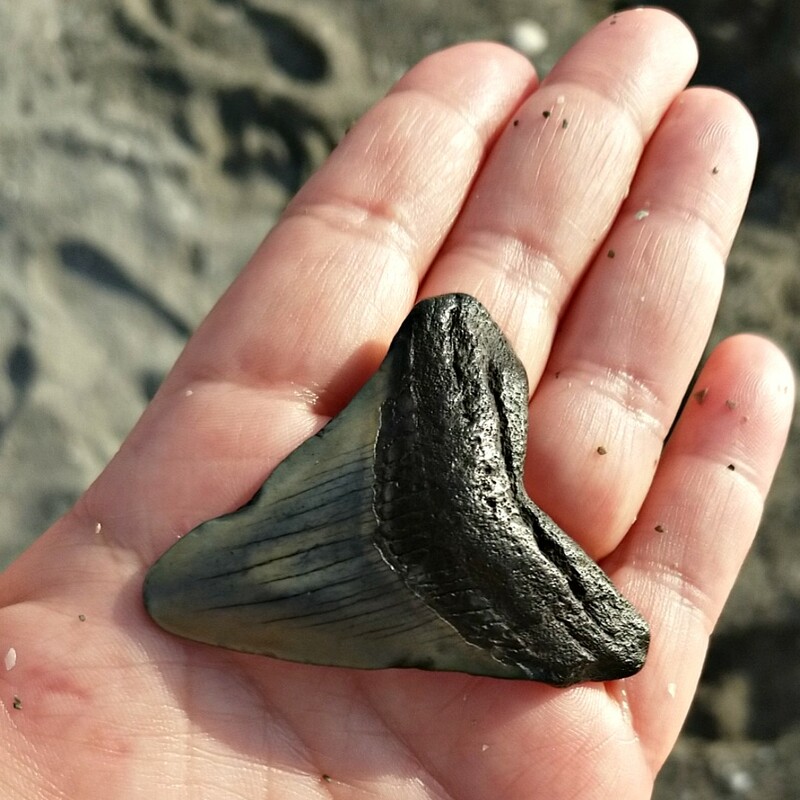 The fossilized Megalodon shark tooth was found by my husband right on the beach shore in about knee high water. Straight out from the condo. What a great find! We absolutely loved the area of your condo. My husband loved being able to fish off the dock and in the gulf. See attached at a few things he caught. We loved how peaceful it is and not all the crowds as the north end was. We just couldn’t get enough of the views either. Felt like Heaven on earth. Perfect gem. We can’t wait to return. I hope 2018 is even better than 2017. Have a GREAT Day! We just wanted to thank you again for the wonderful stay. You really do have the best views and it was wonderful to sit on the lanai every morning for breakfast and just soak it all in. We do really love the turtle beach area it is so quiet and restful. We did spend a day at the Siesta Key beach which was lovely but I much preferred the tranquility of Turtle beach. Thanks so much for all of the information! We put it to great use with the restaurants etc. My husband had a wonderful time fishing. He bought a bucket and live shrimp and the fish definitely loved it! We really did have a fantastic time and we were grateful for the time away. Thanks again for sharing your wonderful home with us! We are at airport on way home from a great vacation. We really enjoyed our stay at your condo. Your recommendations were spot on. We loved the grouper sandwich at the Big Water Fish Market, it was outstanding, I think the roll made the sandwich. The clam chowder at Captain Curt’s was as well. We also ate at SKOB and watched the eagles game. We also ate at turtle beach grill and had lunch at Turtle Cafe, right next to the grill, that was great with a bay view as well. Discovered a fantastic pizza place in the village 3.14 Pi Pizza & Craft Beer. If you have not eaten there yet, try the Margarita pizza. The trolley is fantastic! Definitely hated to leave. 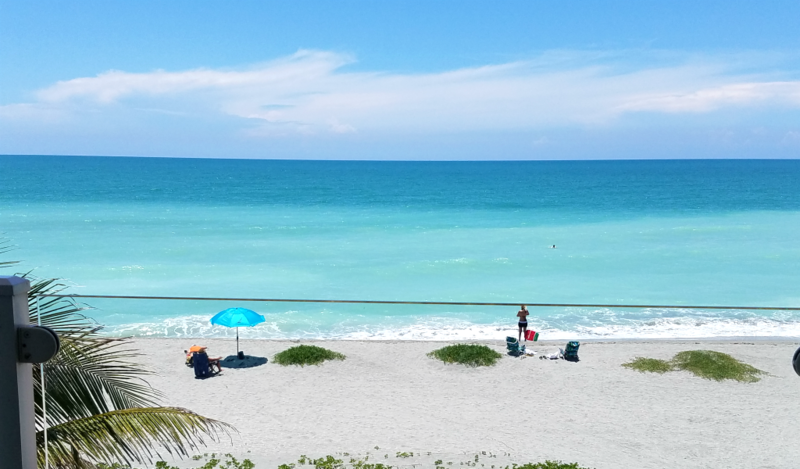 We had a great time and really enjoyed exploring Sarasota, Crescent and Siesta Key beaches. We will definitely consider a boat next year but we did go kayaking which was a lot of fun. A lot of storms starting Wednesday pm from Hurricane Harvey. Had a lot of good food and thank you for the suggestions. Just for your reference, we researched Mexican restaurants and decided on El Toro Bravo – it was the best we have ever had. We also went back to Walt’s and food was awesome. We also got tenderloin fillets from Crescent Grocery – a little pricey but also the best we have ever had. Your condo was so well equipped and had everything we needed. Can’t wait till next year! Thank you for your hospitality! 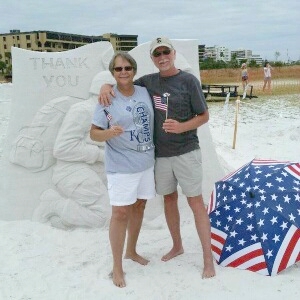 We had a wonderful time during out stay in Siesta Key. The condo location and condition were excellent. The only disappointment we had was the weather did not give us a good sunset on the ocean before we left. We will definitely consider a return trip. Thank you very much. First, let me say that the photos posted on the website do not do the condo justice. 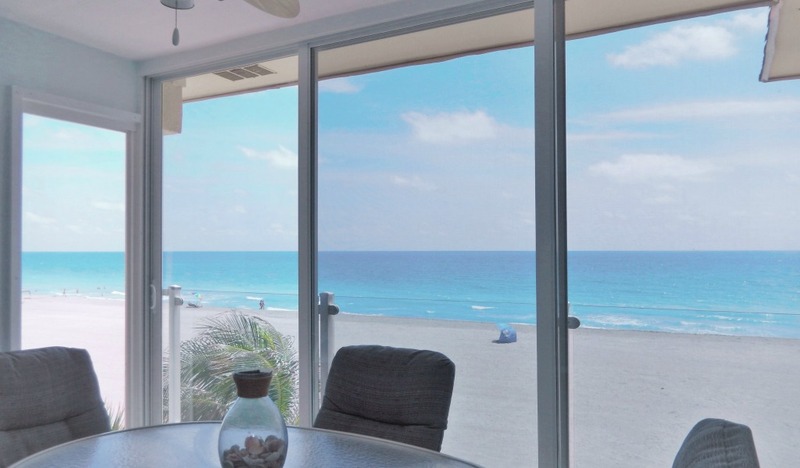 In reality, we couldn’t have found a more beautiful and secluded beachfront condo along Siesta Key. There were several days that we could literally count on one hand the number of families on the beach, giving the sense that we had the entire ocean to ourselves. We ventured to Siesta Key Beach, which was packed with tourists drinking heavily and blasting music. 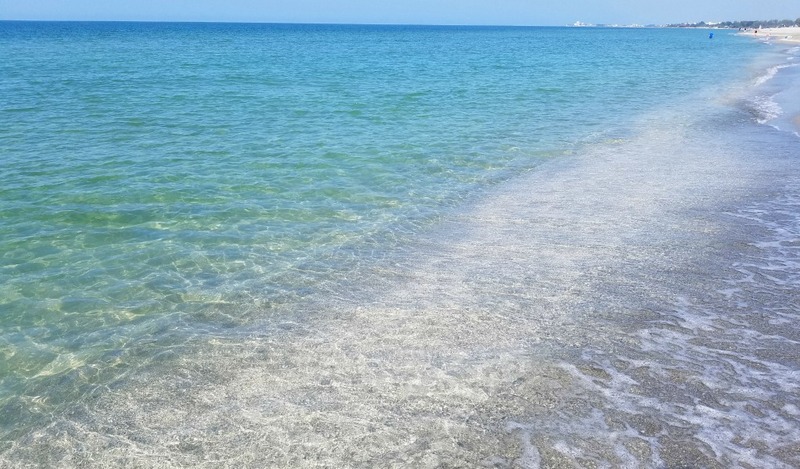 The sand was finer and white on Siesta Key Beach, but rest assured that the condo’s location boasts the same EXACT water clarity that can be found on Siesta Key Beach. In fact, the water clarity is very similar to what can be found in the Destin area. The cleanliness of the condo was superb when we arrived, and the beds were very comfortable. The number of turtle nests on our beach were many, as well as to the more secluded area to our south, which we were actually lucky enough to see baby turtles emerge from their sand nest and venture off into the sea! 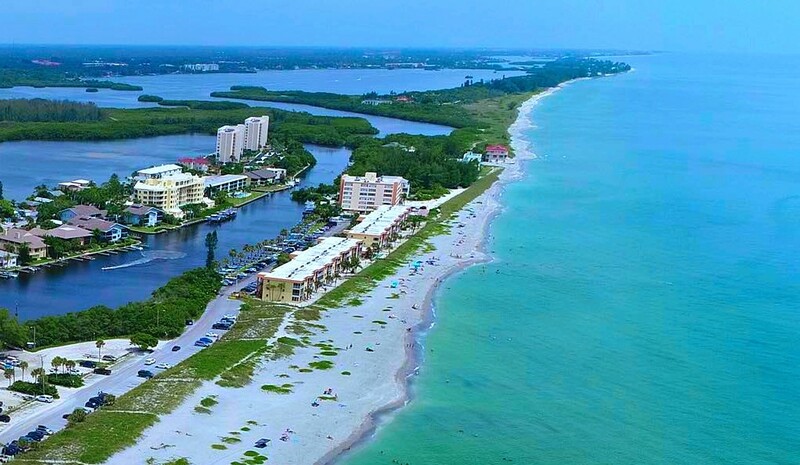 The condo is just a few minutes drive to Siesta Key Village, where many delicious restaurants await. Fisherman’s Cove also has (4) outdoor gas grills which were very clean and reliable. 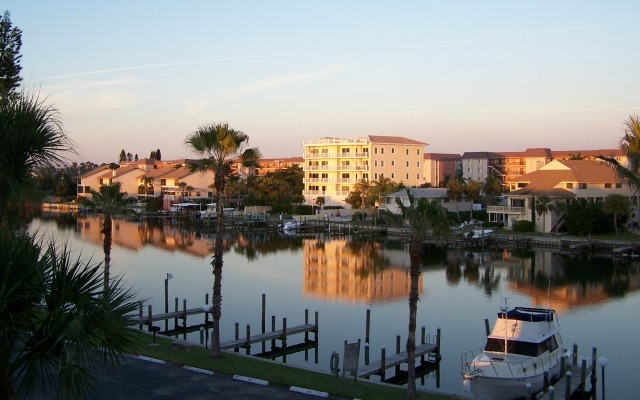 We have traveled to many condo and rental home locations for vacations in Destin, Pensacola, Daytona Beach, Key West, Savannah, Gulf Shores, Anna Marie Island, and Miami. Without any question, we have found the PERFECT condo for vacation after years of looking. Fantastic experience!!!! This place is absolutely perfect! We loved staying here! The pictures really don’t do it justice. The views are breathtaking! We watched the sun rise and set every day. The condo is on the beach and we were just steps away from the sand. 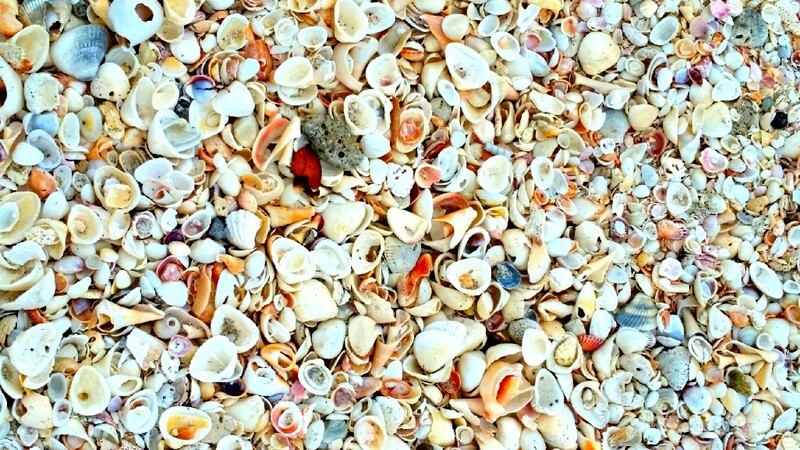 The sand is well maintained and is perfect for collecting sea shells. It is also very safe. Tents were left up during the day or articles left outside doors and nothing was stolen. It is very family oriented, as well as peaceful and relaxing…. The beach was never crowded. We saw turtles, stingrays, manatees and dolphins. There is so much to do and see in this area. We went parasailing, jet skiing, took a sunset cruise and dolphin tour! The condo is beautifully decorated, well stocked and maintained. It was very clean as well. Paul was so nice and helpful! He sent a guide to the area and emailed several times to make sure we had everything we needed! I really can’t express how happy we were when we opened the door and saw the condo and the view! The people in the office were very friendly and helpful as well. If you are looking for a little bit of paradise, I would definitely recommend this place! Amazing View of the Ocean!! Thanks so much for all your help with your place. It was beautiful and such an amazing view of the Ocean. We were able to find many Conch shells and had nearly perfect weather everyday! My family of 3 stumbled across Fish Cove while searching for a vacation destination in Florida. It really looked too good to be true, but I can assure you that it delivered and surpassed every expectation we had set! I worked to plan our visit for at least a year before our trip. Mr. McWilliams was such a blessing in providing details regarding local cuisine, shopping, and activities. He was very welcoming when I reserved and I always felt comfortable emailing and asking any question/inquiry I had. The beach at Fish Cove is superb (beautiful is an understatement). Everyday, we swam and walked the beach. Oftentimes, dolphins and manatees swam near us!!! We loved the private beach as it was quiet and secluded; it was never too crowded or noisy as public beaches can be. The sunsets are breathtaking! My family scheduled professional beach photos and the sunset in the background is always the first thing people comment on when they see the pictures. Our favorite dining restaurants included Captain Curt’s and Walt’s Fish Market; although, our ultimate favorite place was Casey Key Fish House (the pan-seared tuna filet was better than steak). We took a day and drove down the coast visiting Venice Beach where we hunted for fossilized shark teeth (and even got to see a hammerhead shark that had washed up onto the beach after being fatally injured). We checked out the light houses at Boca Grande. 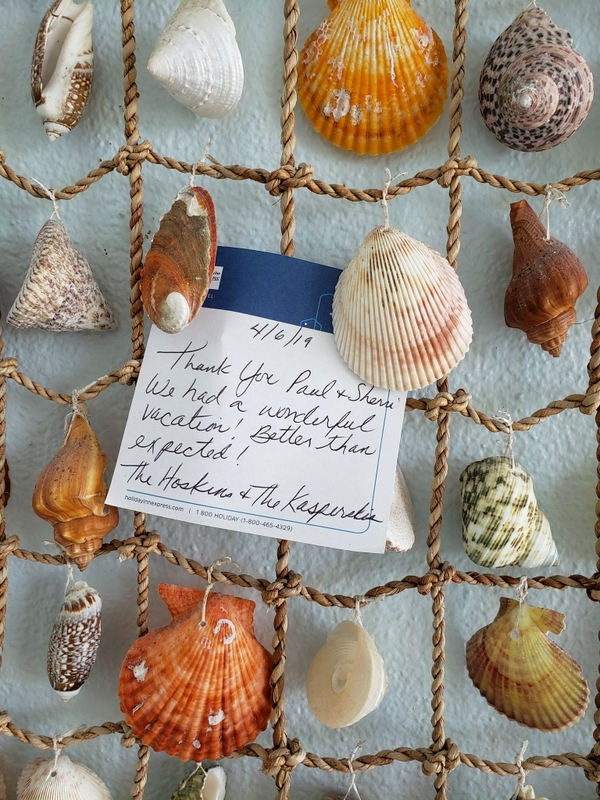 Thank you for everything – we returned home sun tanned, relaxed and shells in hand. What a perfect week. Best weather we’ve ever experienced in Siesta Key. Thanks for everything. We’re looking forward to a great year with family and new granddaughter. We wanted to let you know we probably won’t be coming down next year. It’s our 50th anniversary and we’ve decided to treat the family to a vacation in Hawaii together. When we can figure it out tho, we certainly want to come back the following year if not sooner. Happy holidays to you both and our sincere thanks again for sharing your wonderful home. Just a quick note to let you know we thoroughly enjoyed the condo – it is an awesome condo. When I get a chance will send you some pics of the sunsets and of the manatees in the inlet behind the condo, they played every day. I met the girls in the office and they are all very courteous and friendly and helpful, it was a lovely stay for us. We really enjoyed our stay at the condo – wanted you to know that and we would love to rent it again. Your condo was a perfect place for our vacation. Great accommodations! Can see the attention to detail. It was so easy for my older parents to get around and they really enjoyed the patio. The views were spectacular! Dad loved having a choice of the cove or beach to fish. Also, we really appreciated the document you created. It came in handy, especially when deciding on food. We tried some of the dining recommendations and agreed with your choices. We hope to be back in the Spring and will look to contact you soon with another week. Thank you so much for providing such a lovely place. Our stay at Paul’s condo was great from Day 1. Our condo was impeccable. I am very picky with where I stay and this was beyond my expectation of cleanliness. The condo had everything we could think of available to us. The beds were so comfortable and as well as the linens. They really put a lot of care into this home and it shows. After making the reservation, Paul sent an email with detailed information and tips for the area that were amazing! They really made our trip memorable as we traveled like a local. I would rent this place again tomorrow if I didn’t have to work. I cannot say enough good things about it. The view is breathtaking from even the kitchen and unit was very quiet sound. we never heard a neighbor. Property is immaculate as well and the management company is very helpful. We found so many shells and sand dollars we needed to buy a tote to bring them home. This was by far the most relaxing and memorable vacation I have had in a long time. Thank you to Paul and the management company for making this feel like home away from home. There were four of us staying at your condo – it was marvelous – excellent accommodations. Each bedroom had it’s own bathroom, the beds were very comfortable. Sitting in the balcony was like sitting on the beach, without the heat. The tempered glass railing was a wonderful feature. When you are sitting at the table there aren’t any rails to block your view. I believe it’s the only condo that offers that amenity. Paul suggested wonderful restaurants to eat at and all were right on the money. Our favorites were Ophelia’s, Turtles (not the one on the bay, didn’t eat there), Anna’sDeli for sandwiches, Clayton’s, and Toasted Mango for breakfast. Should we have the opportunity to return to Siesta Key we would definitely re-book the same condo. Thank you so much Paul, for everything. With the information you gave us, you turned a great vacation into a exceptional one – the best ever! 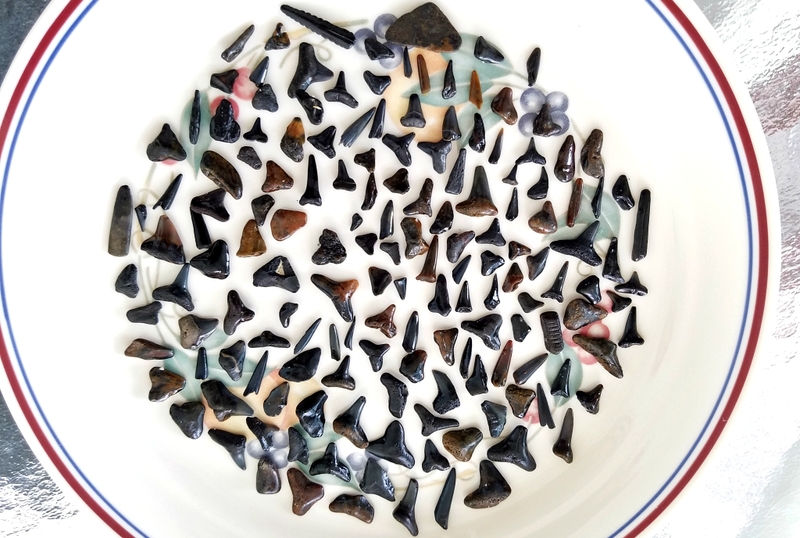 My daughter found over 300 fossilized shark teeth at Manasota Beach. We also spent two days at Casey Key Jetty, what a beautiful place. My wife Karen and I recently spent a week in this beautiful condo which was exactly as described. The views from the Lanai at sunset were fantastic. It was our first visit to Sarasota and we had a great time. Lots of great restaurants in the area and the pub which is less than half a mile is very nice. We went there several times. Paul supplied us with long list of restaurants. We would have to stay for a month to visit them all. We did some traveling around the area up the coast and ate out mostly except for breakfast. Being from Canada and Toronto Blue jay fans we were lucky enough to catch a game of the season opening series against the Tampa Bay Rays in St. Petersburg. Unfortunately the Jays lost. Paul is very interested in his tenants and called us on the evening we arrived to make sure everything was OK and we got checked in and called again mid week to make sure we did not have any problems. Overall great experience and would definitely stay here in the future if we get back to Sarasota and highly recommend this condo. We did not see any other condos in the complex but I doubt any are a nice as this one. This is simply the perfect place to get away. Everything you could need for groceries, fun activities and any kind of shopping is just minutes away by car. Once you are at the condo though, you may never want to leave. Open the windows and sliders of your on-land, cruise ship like balcony and feel the gulf to bay breezes day and night. 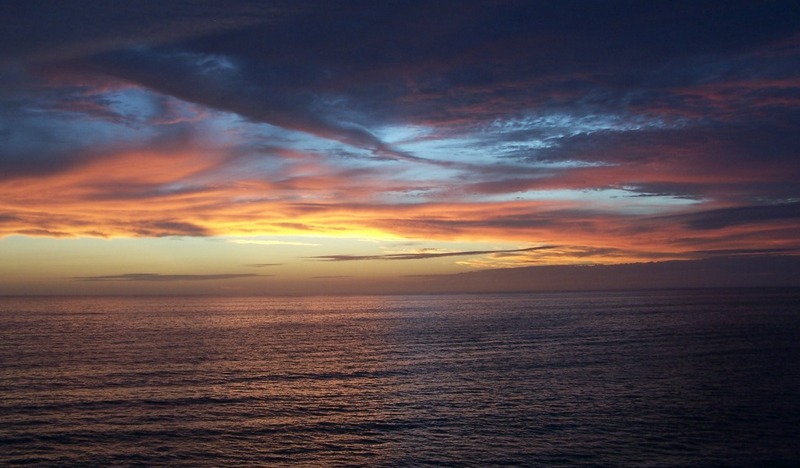 Watch the porpoises, full moon, fishermen and phenomenal sunsets from the lanai. 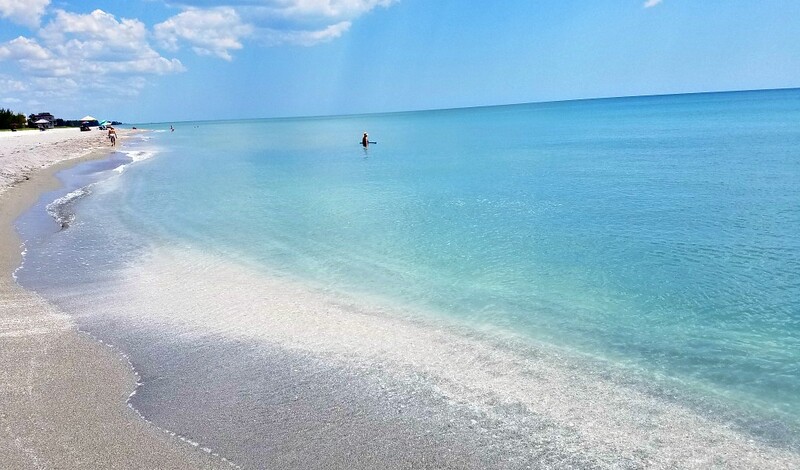 The beach, though lacking the powdery sand to the North, is practically private with excellent swimming, shelling and miles to walk in either direction. We much preferred the quiet, neighborhood feel of this area to the bustle and traffic towards Siesta Key Village. There are 3 restaurants within a very short walk of the condo. Paul is so helpful, he will provide detailed, written information about the area and the condo prior to your arrival. His call to make sure everything was in order after we arrived was a nice welcome. . 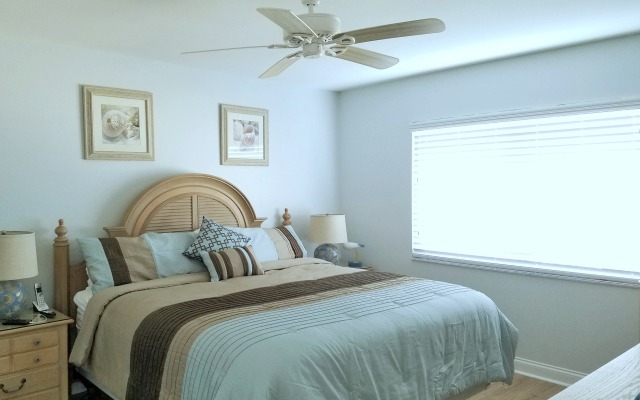 The condo is very comfortably furnished (master bed was bliss), clean and freshly painted. The kitchen is well equipped: small cooler, insulated coffee mugs, array of pans and tools, blender, plenty of dishes and glassware. The elevator and stairs are 1 unit away – close but not next to – was great. We loved our stay in this condo – it was perfect relaxation! We recently had a relaxing and wonderful vacation in Siesta Key. This was our second year staying at this condo and we were just as happy this year as last. In fact, before leaving, we booked again for next year! 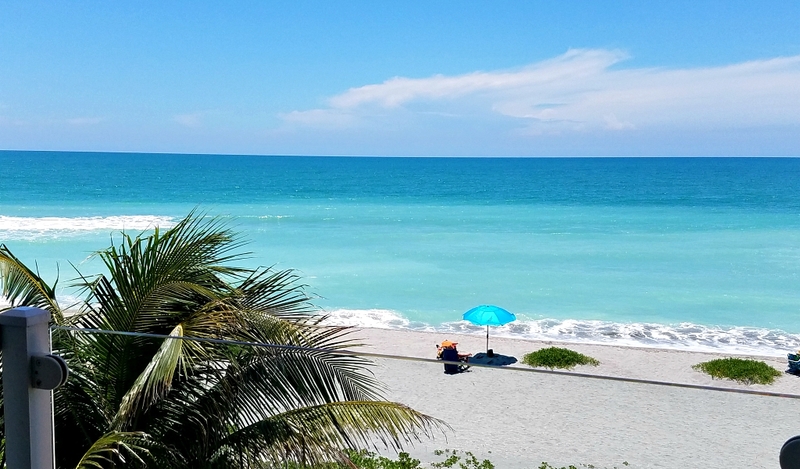 We love the Sarasota area, there’s so much to do. 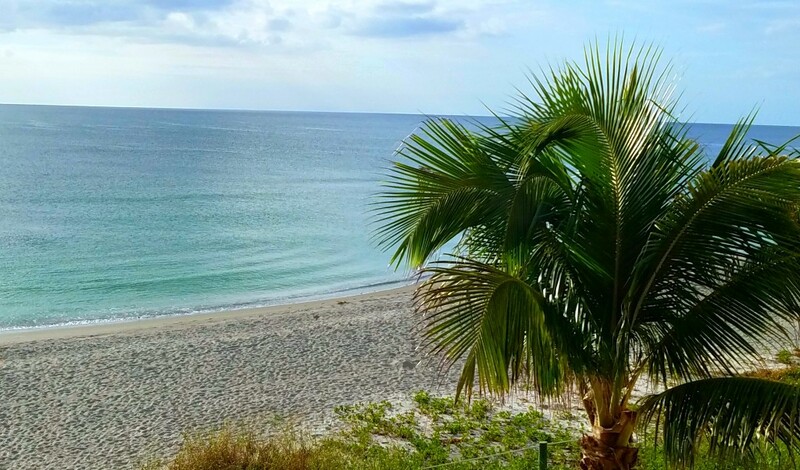 The location of the condo is perfect…literally right on the beach. Phenomenal views, well-maintained, nothing to worry about. Paul and Sherri are kind enough to provide lots of guidance regarding the area, things to do, and places to eat which is so very helpful for a traveler…eliminates lots of stress in an unfamiliar locale. We loved this condo! The owners were very helpful giving us tons of information from where to eat to other beaches , where to find shark teeth and shells. It is a beautiful place and for my first visit to Florida it did not disappoint . Everything you need is there. We will definitely be renting from Paul and Sherri again. See ya soon. We had a fantastic experience here. It was our first trip to Florida and did not disappoint. The beautiful views from the condo are breathtaking. What a treat to be able to watch the sunset every night, either from the apartment or right on the beach. The beach is lovely, and is located far enough from the main downtown area, but close enough to walk to many restaurants. 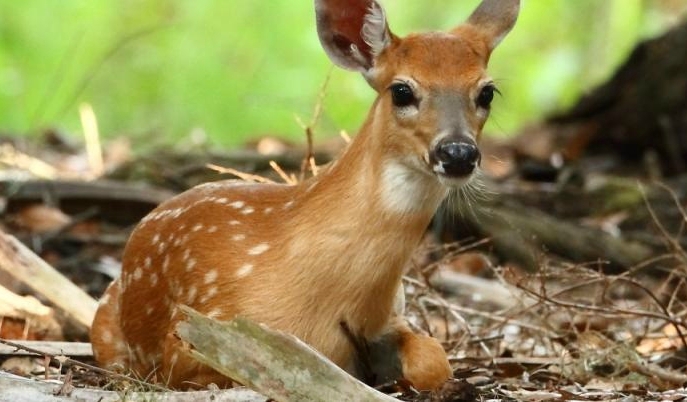 It’s also close to Sarasota, and other local attractions. The owner was so helpful and kind in making sure that we enjoyed ourselves and got the most out of our experience — it was greatly appreciated! We travelled with two young children, and they loved being able to swim in the heated pool in December. Coming from Iceland, it was a definite treat. I highly recommend this place. 100% – you can’t get closer to the Ocean than this! For any British or European holidaymakers looking at this unit and wondering about what sort of experience you’re going to get, rest assured. It’s a fantastic place with $million$ views – you couldn’t get a better view of the Ocean. The condo is super, with a roomy balcony to sit out on and enjoy the sunsets with your “G&T’s” or Margaritas. 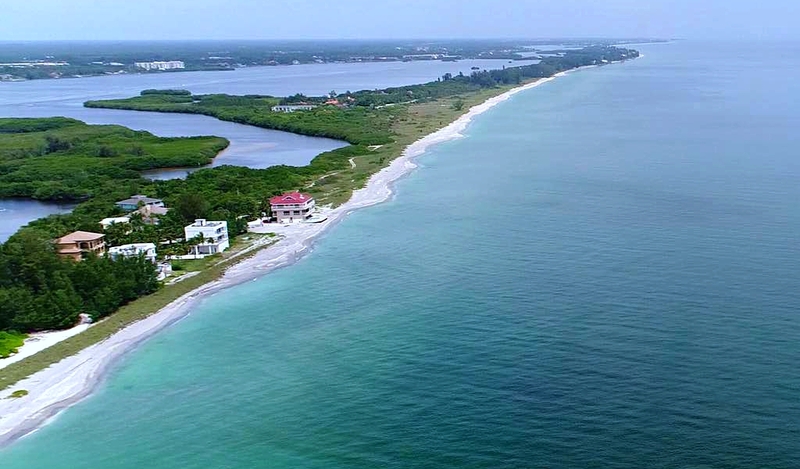 The location is ideal for exploring the Gulf Coast, especially around Sarasota. Tampa or St Petersburg – even down to Fort Myers if you fancy a drive. We’re regular visitors to Florida and you’d find this place hard to beat. We enjoyed the Myakka River State Park (several times), kayaking around the local wildlife park, Ringling/Barnum & Bailey Circus in Tampa, plus even a very long day trip to Disney in Orlando, but really you don’t need to move very far at all for a perfect relaxing holiday. A tip regarding flights from Europe – take a direct flight to Orlando and drive from there. It’s only a couple of hours and far easier than changing planes via a US hub airport. We flew Virgin from Manchester – it’s about as easy as a transatlantic flight can be. Thanks to the owners Paul & Sherri – wish we could be there all winter! We really enjoyed this great condo. It was everything we needed and a great location! Loved how close the beach was and all the shells. Will definitely return. The owner was very helpful in giving us restaurants and attractions in the area since this was a first time for us in area. This is all you need!! Love, Love, Love This amazing place! We stayed for a week in this lovely Condo and had so much fun! The ocean was warm and clean, views are gorgeous by day or night. We wanted a laid back vacay and this was perfect. Spent a day in Siesta Key, the beach sand is very pretty, however, we could not wait to get back to our own slice of heaven! The home owner was gracious and informative giving us the inside scoop on restaurants and markets. We especially liked Demetrio’s Italian! The other couple we were with felt the same way…very hard to leave. I highly recommend Fisherman’s Cove and Turtle Beach, you will not be disappointed!! As stated in the title, the condo was in great condition….all that you could ask for! It was a fabulous place that we really enjoyed!!! While the pictures in the listing are good, the actual view is 10 times better!!! Paul, the owner goes out of his way to give great “local scoop” on the unit …and the food, drink, and fun in the area! Our only negative to the stay came at 8:45 on our last morning when the cleaning lady opened our door and walked right in while we were trying to get out, insisting that she was cleaning and that it was 9am. [this was addressed immediately, and it has not happened since] Somewhat rude, but sure she deals with a lot of vacationers! *Check out is 9am SHARP though! Highly recommend the condo, and have already recommended it to my friends!!! Also recommend Cannon’s Marina (April) on Longboat Key!!! Rented a boat for 4 days and able to dock it right at the condo’s boat dock each night!!!! Captain Curt’s Crab & Oyster Bar was excellent with great seafood and service, as was the pizza from City Pizza that delivers! We would not recommend Turtle Beach Pub Restaurant, terrible service and below average food. ~that’s a shame because it’s close enough to walk! Ophelia’s on the Bay is close too, and more upscale dining, it was good but very busy! Over all, we cannot wait to get back!!! My wife and I stayed here on our honeymoon and had a wonderful time. The condo was very clean and had all the amenities necessary to make us feel right at home. The location on Turtle Beach (just south of Siesta Beach) was great because of the much smaller crowd. I can’t imagine being any closer to the water either. The building sits just a few yards away from the water, and when sitting on the third floor lanai (which is AMAZING) you can hardly see the beach beneath you [as shown in the current pictures, the beach is wider now since it was re-nourished in 2016]. It feels like you are sitting above the water. The views are fantastic, particularly for sunrise and sunset. The canal running behind the condo is great too, as you can kayak and paddleboard out to the mangroves in search of manatees. The boat ramp where most of the rental companies deliver to is only steps away from the condo which was very convenient. Per the owners’ suggestion, we ate at the Casey Key Fish House and Demetrio’s during our stay. The pizza at Demetrio’s was excellent, and the Fish House is not to be missed. The casual dockside dining environment was very nice, and I highly recommend the almond crusted snapper. My wife and I greatly enjoyed our stay here and would love to return in the future! Loved the location!! A great place to stay that is close enough to amenities, yet far enough away for peace and quiet. Very accommodating condo and very clean. Loved the view and the closeness to the beach. It was the perfect place for our family – including our 3 year old and 9 month old. Owner gave some great information about places to eat and visit. Can’t wait to go back again! Amazing! This was by far the nicest Condo we have ever rented. The owner was so helpful and friendly that it felt like home. Clean doesn’t describe it. The views were amazing as well as the overall feel! My son proposed on the beautiful beach to his GF and I will soon become a mother in law! We’ve been renting condo’s in St. Pete Beach and Siesta Key for years. We have never encountered an owner as interested in our having a fun relaxing vacation than this one. He provided lots of information on the condo and suggestions for fun in the surrounding area prior to our arrival. We had a couple of questions during our stay and he responded to emails very quickly. The unit was recently remodeled and was comfortable and well appointed. This is a great location, sandwiched nicely between the inner-coastal and the gulf. There was a lovely breeze most nights that flowed through the unit. With the windows open, we slept to the sound of the ocean waves. We recommend it highly!!!! Room with a view! We enjoyed our stay. Weather is always a factor when you come from the north and it turned cooler in mid week but we still enjoyed the pool and the beach. Clean and comfortable. 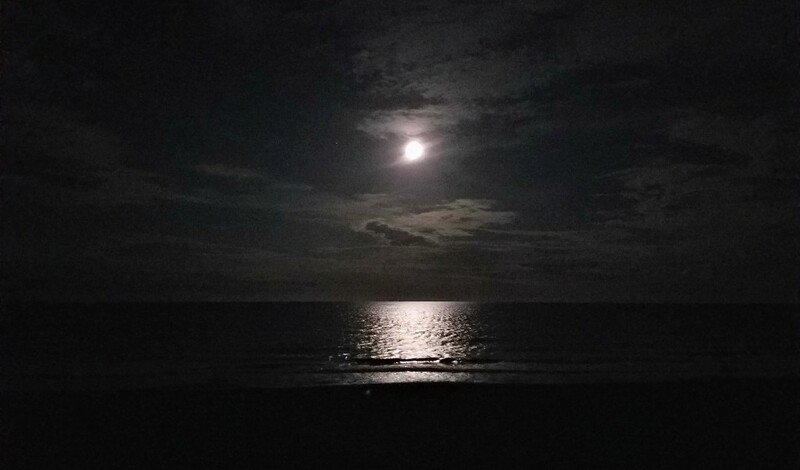 We closed the window one night because the sound of the waves were keeping us awake. We would likely come back. The review title sums up an accurate description of the condo. This is definitely the closest condo to the Gulf of Mexico on Siesta Key! In addition we enjoyed having two king sized bedrooms (a rare find). We spent many hours on the porch entertaining and watching sunsets and the Gulf of Mexico. The owners are very caring and truly desire for the guests to have a good experience. Before the trip the owners mailed us a guide telling us about the condo, directions, favorite restaurants and local sights to visit. This was most helpful. Upon arrival there was a cart to help carry our belongings and groceries as well as a working elevator to the third floor. The condo had just been remodeled and it was clean, well-maintained with all the necessary kitchen equipment for entertaining. The front desk was friendly and helpful. One of our pleasures was walking the beach. In many evenings and on Sunday we especially enjoyed being close to Turtles Restaurant and walking over for dinner and the Sunday brunch. The entire two weeks was a most positive experience and we plan to return. Couldn’t get any closer to the beach! We loved the fact that you are surrounded by water. Great beach combing, uncrowded beaches, incredibly soothing to fall asleep listening to the surf. One of the greatest vacations our family has enjoyed in years…all thanks to owner’s slice of heaven on earth. Everything was as described & and then some. Prior to arrival the owner sent several pages of basic info regarding the condo and great tips on places to go/things to do. But once you arrive- you never want to leave. One would be hard pressed to find anything closer to the water. The mesmerizing sound of breaking waves 24/7 was something I’d always hoped to experience, but had never really found…until Fisherman’s Cove. It’s just far enough off the tourist byways to feel secluded. 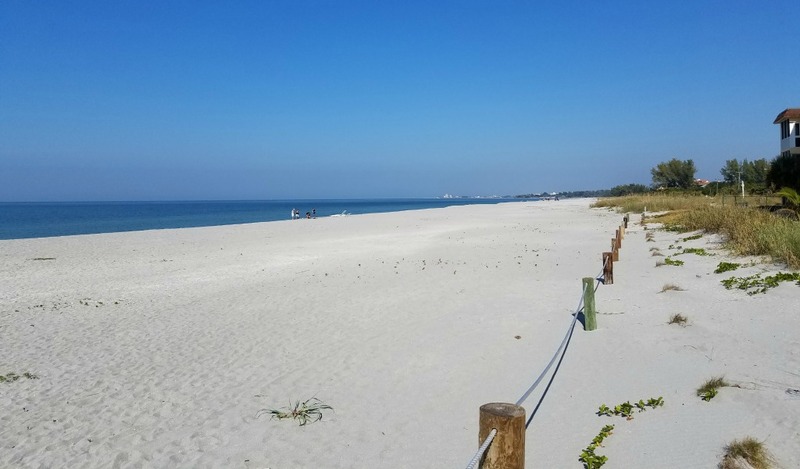 Yet you are close enough to Siesta Beach/Point of Rocks to be there in a few quick minutes (park in lot #12 across from Curt’s Restaurant). Great restaurants, the Crescent Market, and a local seafood market by 7/11 are equally as close. The condo was immaculate, well appointed, and all in working order (they even had a back-up coffee maker). A good deal of thought has been put in to taking care of any visitor’s wants or needs. Spectacular remodel. Our favorite room was the lanai with the unbroken view of the ocean and beach. When she preferred to be inside, my 89 year old mother-in-law was able to look down upon the family beach activities below. This really helped her feel like she was still a part of the fun while watching comfortably from her chair. She was able call down to us if she needed something so the proximity was great. Easy access via the elevator made it truly accessible. The bathroom had a step-in shower… great for limited mobility. You really are as close to water as the lanai pictures depict; the sound of the surf/ocean views are RIGHT out in front of the condo. Watch rays and even dolphins skimming the waves. It’s very rare to be that close to the surf, how cool. There was still plenty of beach to set up chairs & the sand was perfect for building sand castles. Small groups of beach-goers had plenty of room between one another, no crowds here, nor loud partiers or obnoxious groups to disrupt the tranquility. Other condo neighbors were friendly and helpful. It’s very low-key. The pool was a great place to soak after hitting the beach. Everything was truly so much more than we dreamed of; our vacation in your place will be remembered as one of the best ever. Our hope is to return soon and stay longer. Thank you for your hospitality; when we build our cabin on the Conejos River here in Colorado we hope to return the favor! 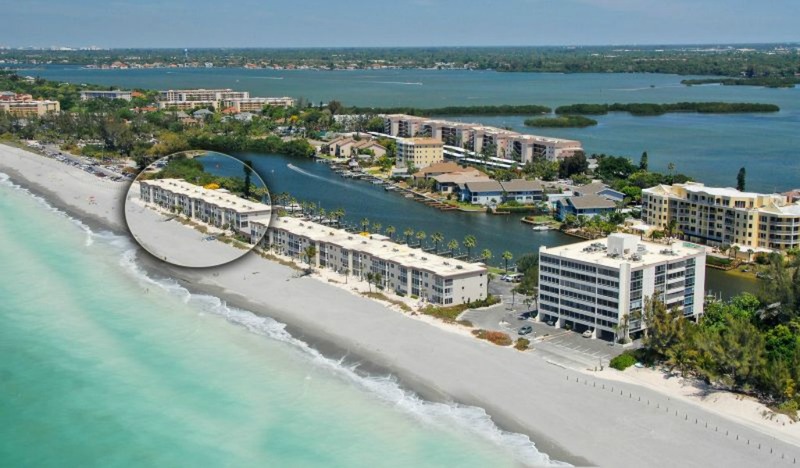 DEFINITELY the closest beachfront condo on the Gulf of Mexico on Siesta Key! Our week in this condo was wonderful. The views from the balcony were outstanding. You felt as if you were standing right on the sand! The general atmosphere of the condo community was very quiet and relaxing, and you couldn’t beat the convenience of staying so close to the beach. Literally, you were just footsteps away from the beach. We thoroughly enjoyed our vacation and will definitely consider returning soon! My “ya ya” girlfriends and I just returned home from fabulous our time at Turtle Beach. As soon as I opened the door to our home for the week I knew I was in an amazing place. We spent most of our time in the lanai when we weren’t at the beach, which is incredibly close. The accommodations were just perfect for our needs. The beds were comfortable, there is plenty of utensils, etc in the kitchen …but I would try the plethora of wonderful restaurants in the area. We snorkeled, swam, ran and read the whole week. Coming home to this condo was definitely relaxing. I also recommend checking out the Sunday drum circle on Siesta Beach. It starts at sunset and is a lot of fun. I highly recommend this condo! Had a lovely week. Was great to have two master suites. Well stocked kitchen for the those that love to cook. I was looking for unit on the beach and I can tell that you that you won’t get any closer than this unless you camp on the beach. To the south it is all secluded beach with some great shelling. Close enough if you want to eat out or shop, but who wants to leave paradise. Not sure where else you can catch the sunrise through the front door (as well as a great breeze) and view spectacular sunsets on the balcony porch. The new glass panels on the porch allows for complete unobstructed beach, sunset and star gazing.